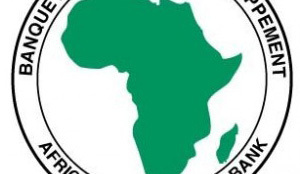 THE Government is in the process of rolling out the US$50 million loan acquired from the African Development Bank (AfDB) to small-scale fish farmers across the country. Meanwhile, Livestock and Fisheries Minister Michael Katambo has urged fish farmers to visit provincial coordinators’ offices countrywide to access the application forms and be informed on how to access the loans. Mr Katambo said the money, which was meant for aquaculture development in the country, would benefit small-scale fish farmers to enable them stock fish for sale on the national and international markets. The minister said in an interview that this was in line with President Edgar Lungu’s vision to have Zambia start exporting fish in the next two years. “We have received the $50 million loan from the AfDB and we are calling upon all small-scale fish farmers to visit provincial offices and get more information on how to access the loans,” he said. Mr Katambo said his ministry had implemented the decentralisation policy where farmers who were interested in fish farming would access information from various provincial offices. He urged all the small-scale fish farmers to take an interest and visit the provincial offices to access the application forms for the loans. Mr Katambo also said that his ministry was allowing whistleblowers to report any suspected case pertaining to its operations. He said allowing people to have access to offices was because the new ministry was being transparent, and allowing divergent views for development. Mr Katambo said the whistleblowers would be protected and that people should present factual reports and not just mere hearsay.